I know, I know. Halloween is over. But I couldn’t pass up sharing the little prince with you all. This entry was posted on Tuesday, November 6th, 2007 at 12:59 am	and is filed under Dashiell, Dork Mom. You can follow any responses to this entry through the RSS 2.0 feed. You can leave a response, or trackback from your own site. 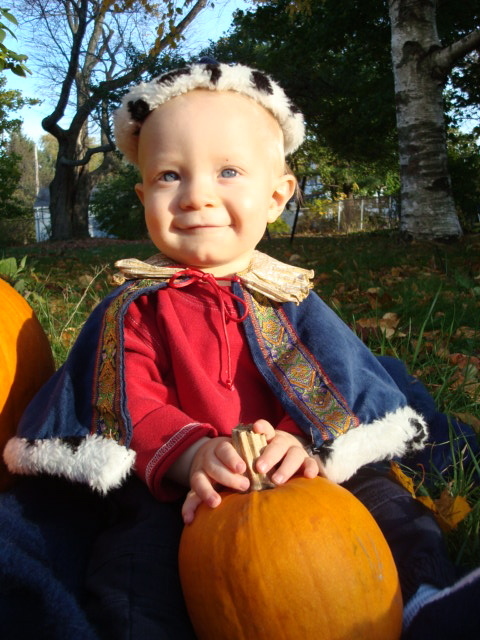 What an adorable little prince of the pumpkin patch. Here’s a hug.